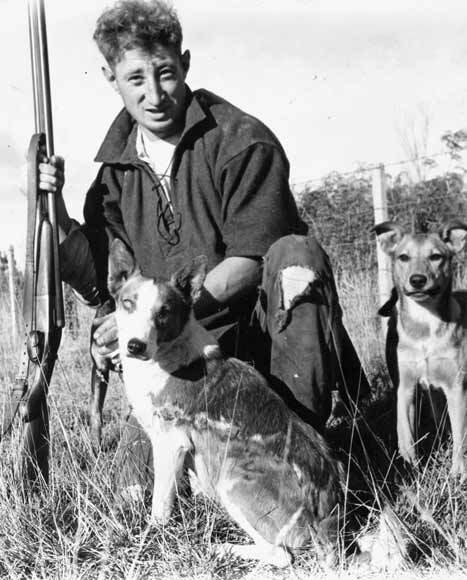 Writer and outdoorsman Barry Crump poses while rabbiting at Reporoa in 1961. The previous year he had published A good keen man, a collection of yarns from his days as a deer culler. The book was a huge publishing success – affirmation that the rough culture of the bush formed an important part of Kiwi identity.